This post is in sponsored by Viactiv and I was provided product to facilitate my post. All opinions are 100% my own. I just returned from a trip to Connecticut to spend some precious time with my almost 90-year-old mother. I took a red-eye flight and spent 5 hours next to a man who coughed and sneezed during the entire flight. As luck would have it, I came down with strep throat during my time with my mom. My doctor prescribed antibiotics which took care of the strep throat but they always wreak havoc with my gut. Fortunately, Viactiv had reached out to me to try their new Viactiv Digestive Health Soft Chews and I packed them in my suitcase. There is no refrigeration needed and they are individually wrapped so taking them along is easy! I have been a fan of Viactiv Calcium Chews for quite a while but these Viactiv Digestive Health Soft Chews are new. They are 2-in-1 probiotic-derived chews that help balance your gut by feeding the good bacteria and fighting the bad bacteria. 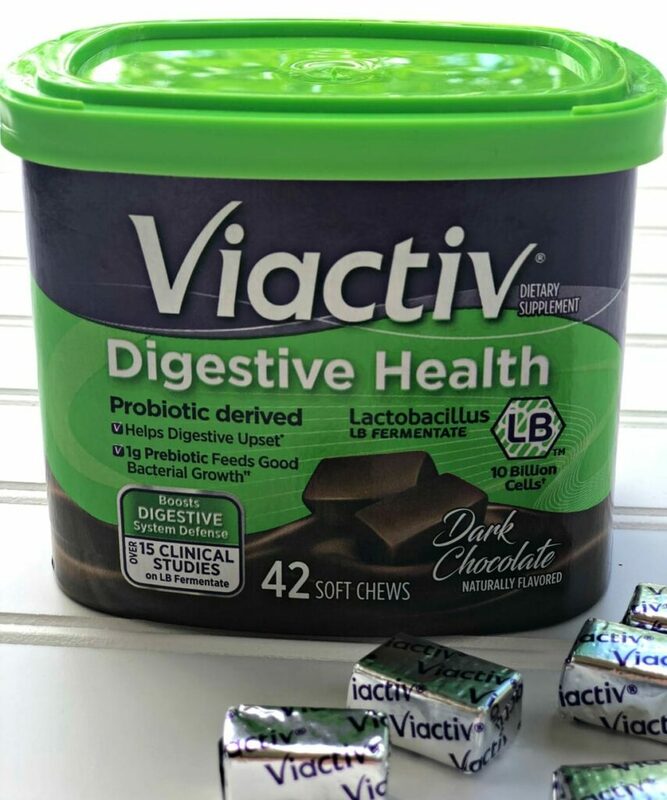 Each Viactiv Digestive Health Soft Chew has 10 billion cells of Lactobacillus LB Fermentate, 1 gram prebiotic fiber, only 1 gram of sugar and no fat in a delicious dark chocolate flavor. I was very motivated to get back to feeling good. When I returned home, I had a blog conference to attend that I had been looking forward to for two years. I did not want to miss a minute of it due to stomach issues and low energy. They asked me what I would have done differently and one thing I shared is that I would have spent more time taking care of myself. When we fly and get our pre-flight safety check, they remind us to put on our oxygen mask first and then put it on our children. 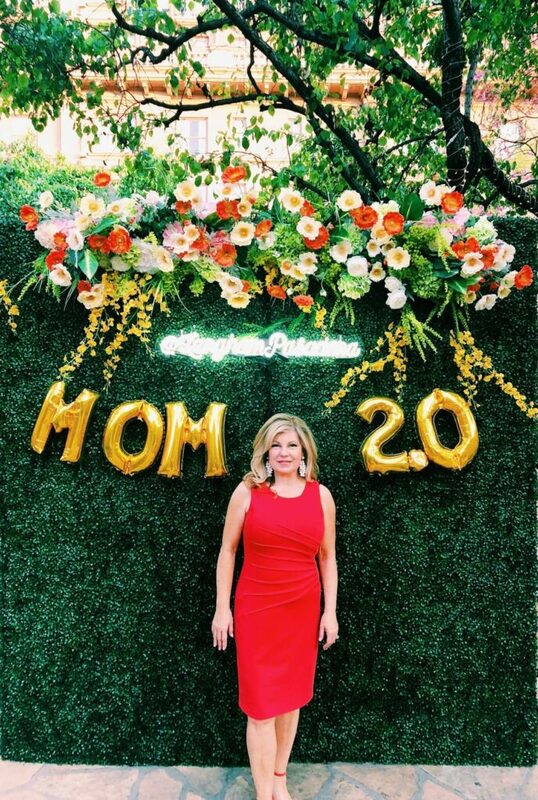 They know as moms, our first inclination is to put the oxygen mask on our kids first. We have to be reminded to take care of ourselves. During this next season of life, I want to feel my best. I started working out with a personal trainer just until I get into an exercise routine again. He pushes me much harder than I would push myself but I am feeling good about the decision to (finally) get serious about fitness. I’ve started to make a smoothie every morning full of fresh fruits and vegetables and taking supplements. Truthfully, I’m not a great pill swallower. That is why the Viactiv chews are a win-win for me. They are a tasty treat and I look forward to having one after my lunch and one after dinner. The delicious dark chocolate flavor takes care of my sweet tooth in a way that I feel good about. If I am going out to a restaurant or event, I can just take them along in my purse. I’m not going to miss out on my little sweet treat twice a day! What is the strain found in Viactiv Digestive Health? Viactiv Digestive Health’s Lactobacillus LB bacteria strains go through a proprietary fermentation process creating a stabilized, beneficial combination of concentrated bacterial cells, nutrients, and metabolites. Now that our kids are grown and flown, my husband and I are looking forward to our first cruise this summer. We are going to Alaska with my sister-in-law and her husband. To say that I am excited is an understatement! Have you been on a cruise? Do you have any tips for me? 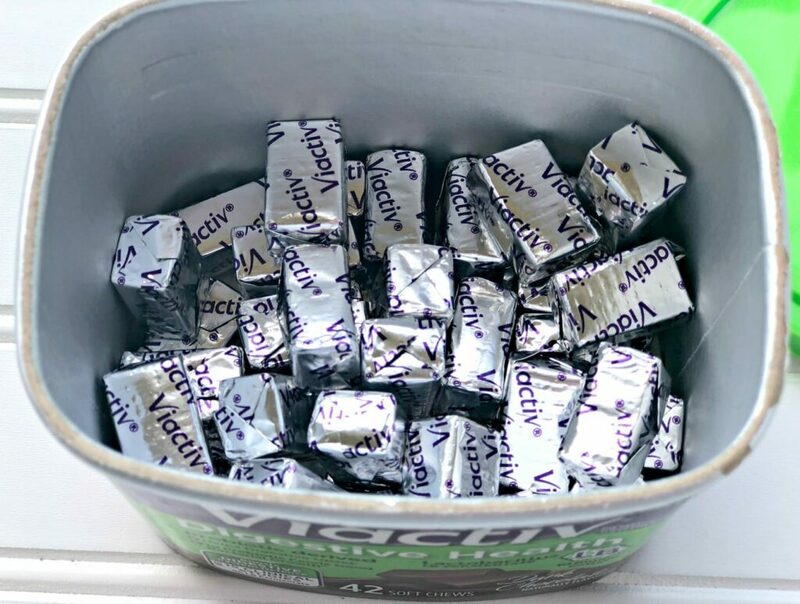 I plan to strengthen my digestive defenses between now and then with help from Viactiv Digestive Health Soft Chews. I’ll be taking care of myself and making changes both big and small! Be sure to join Viactiv on Facebook for giveaways and exclusive offers and follow along on social media using #ViactivGutCheck. To try Viactiv Digestive Health for yourself, order on Amazon here or check your local Rite Aid.